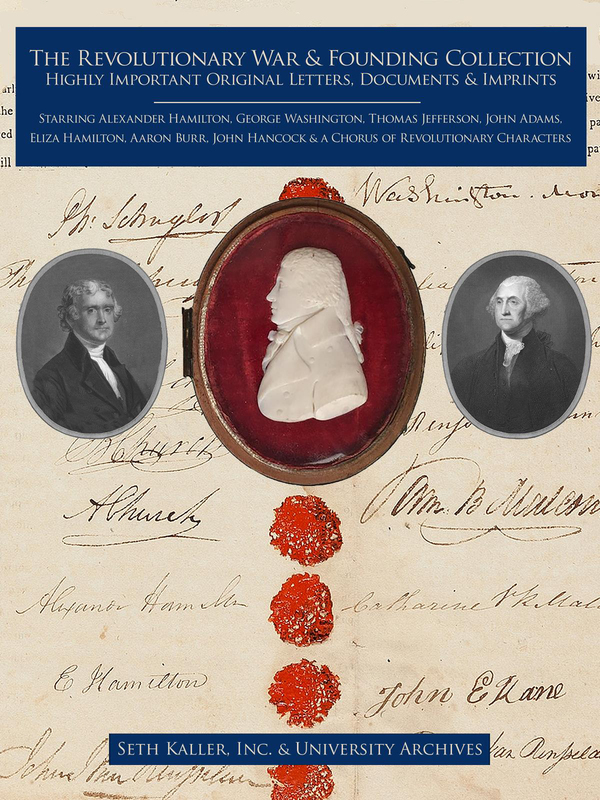 Dallas Summer Musicals (DSM), in partnership with the Dallas Public Library and Seth Kaller, Inc., welcome the public to see a collection of Revolutionary War and Founding Era documents. 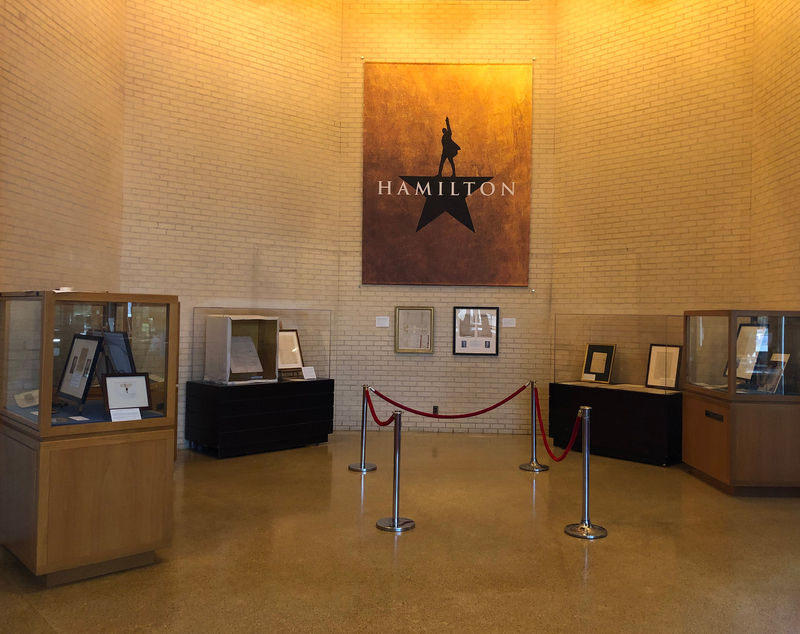 The unique collection will be on display, free of charge, in the lobby of the Music Hall at Fair Park during the Dallas engagement of HAMILTON through May 5. 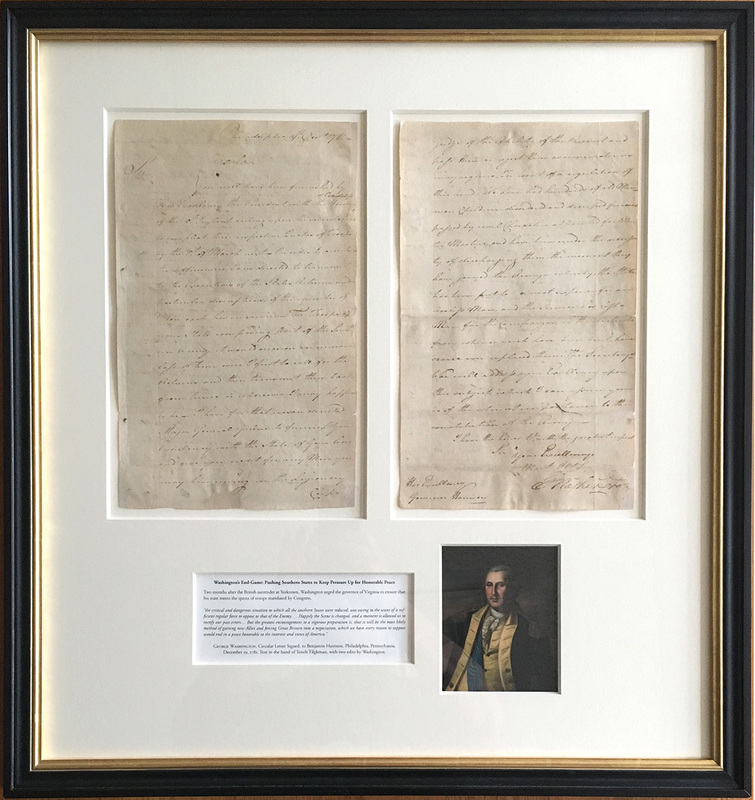 The Revolutionary War and Founding Collection consists of more than 1,000 original historic letters, documents, imprints and artifacts, offered together for $2.6 million. 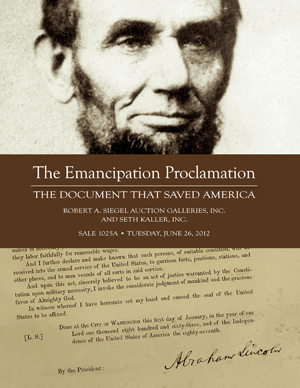 (Texts and stories of many of the letters can be seen in the collection’s electronic catalog, on www.AHamilton.com) The Dallas exhibit includes 30 pieces from that collection, along with a few documents lent from private collectors. We can help you enjoy an inspirational connection to your favorite historic figure, event, or idea. Important documents and artifacts can be loaned, placed on deposit, or donated to ensure their survival for generations to come. Seth Kaller, Inc. can coordinate all aspects of collection-building, including acquisition, authentication, appraisal, conservation, framing, insurance, and recognition for your family, your company, or your foundation. Items presented here are drawn from our broad inventory. 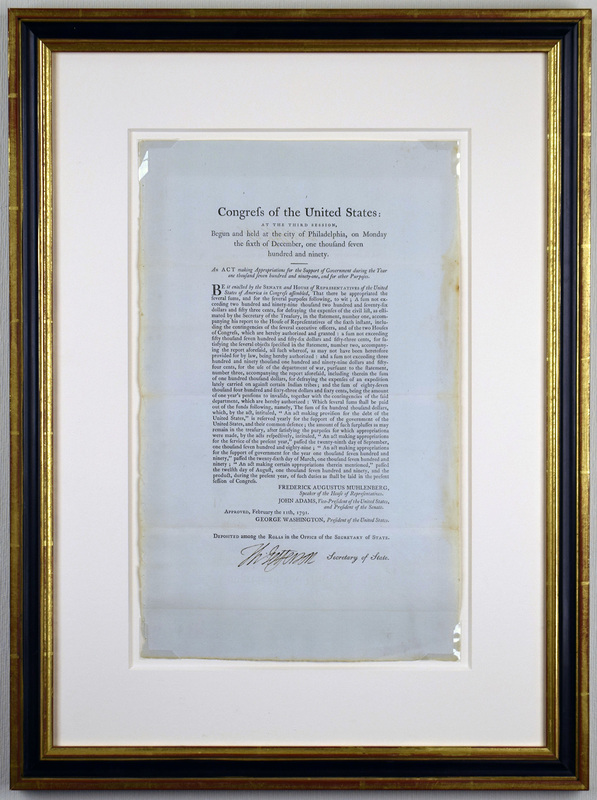 We have many more original documents and collections, ranging from $100 to millions of dollars, please contact us if you have specific interests. We unconditionally guarantee the authenticity of our documents. We verify authenticity through our own expertise and archival research, as well as in consultation with independent experts and institutions. Client references furnished on request. Seth Kaller is a leading expert in acquiring, authenticating, and appraising rare historic documents and artifacts. Kaller has built museum-quality collections for individuals and institutions, as well as legacy collections for philanthropists to donate. 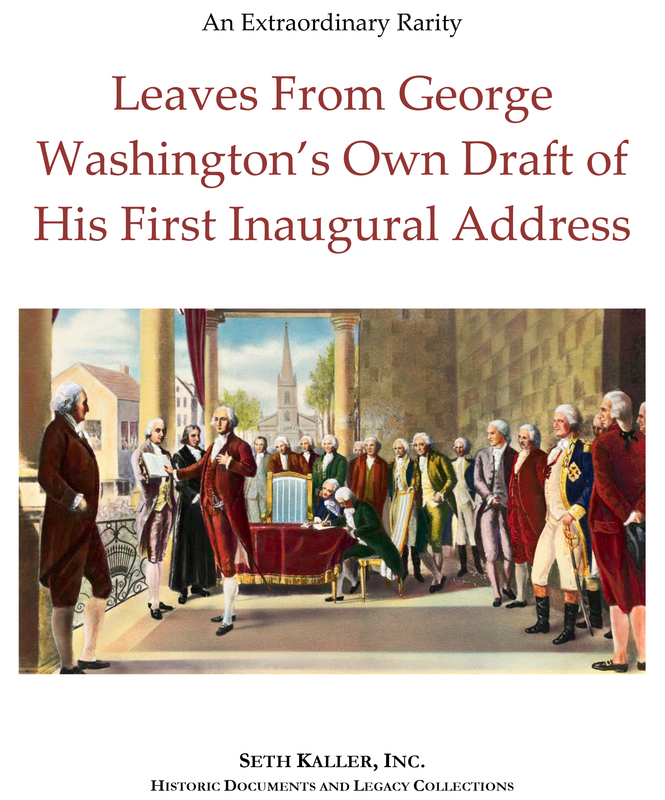 He has handled important manuscripts, documents and rare books relating to the Declaration of Independence and the U.S. Constitution; leaves from George Washington’s draft of his inaugural address; Abraham Lincoln’s “House Divided” manuscript and signed copies of the Thirteenth Amendment and the Emancipation Proclamation; and Robert E. Lee’s farewell to his troops. 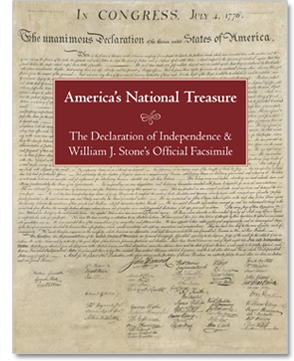 We are members of the Professional Autograph Dealers Association (PADA), Antiquarian Booksellers’ Association of America (ABAA) and the Manuscript Society.